Do you have what it takes to teach middle school math in Pennsylvania? 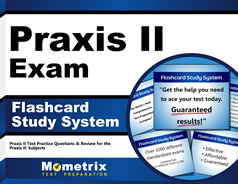 You’ll find out once you take and pass the Praxis II PA Grades 4-8 Subject Concentration: Mathematics test. This test focuses solely on math, but as you know, there are various types of math. Which ones will you be tested on? 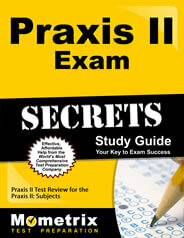 The Praxis II PA Grades 4-8 Subject Concentration: Mathematics exam consists of 60 questions. During this two-hour test, you will be tested on arithmetic, algebra, geometry and data. The test will measure your knowledge of functions, graphing, probability, statistics, solving non-linear equations, and calculating perimeter, area and surface area of various shapes. This test is consistent with state and national standards. While this test focuses on only one subject, it covers math skills over five grade levels. This is a lot of information for you to try to remember. How can you narrow down the information and focus on the essentials? By taking a Praxis II PA Grades 4-8 Subject Concentration: Mathematics (5158) practice test. Don’t waste your time trying to remember every type of math possible. This will only cause you to stress out on test day. The practice test – and study guide – can help you understand how well you will do on the real test and help you study more effectively so you focus only on the mathematical terms and processes that will appear on the test.